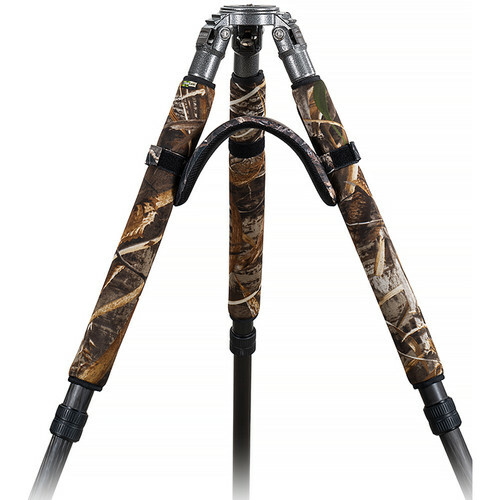 For Tripod Leg Diameter: 1.25-1.4"
Made from soft neoprene, the Realtree Max5 LegWrap Pro 312 is made in the USA and wraps around the upper part of your tripod's legs for protection and comfort. Using touch fasteners, the soft neoprene wraps are easily affixed to a tripod and create a thermal barrier to keep the tripod manageable, even in extremely hot or cold conditions. The wraps also provide protection from bumps and scratches. 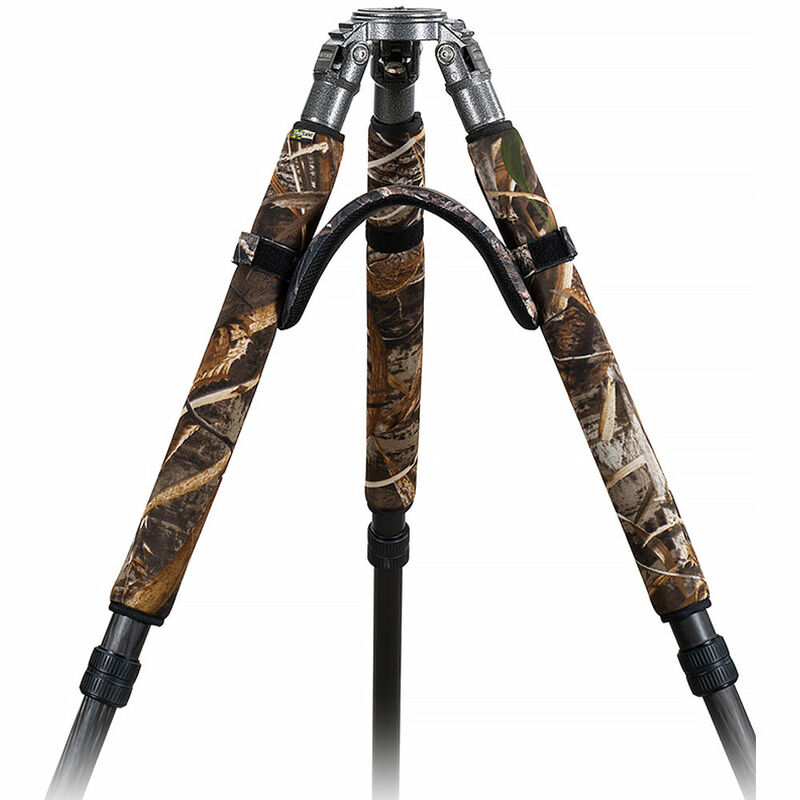 This model is 12" long and designed for tripods with leg diameters of 1.25-1.4", such as the Gitzo Series 3. Photographers will appreciate the improved comfort provided by the incorporated touch-fastening shoulder pad. Box Dimensions (LxWxH) 12.0 x 8.0 x 2.0"